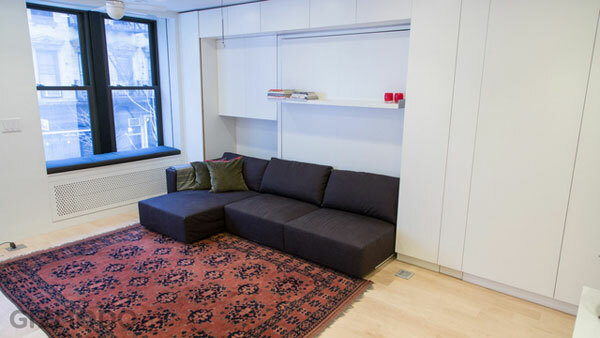 Would you be willing to downsize to an apartment the size of a single-car garage? 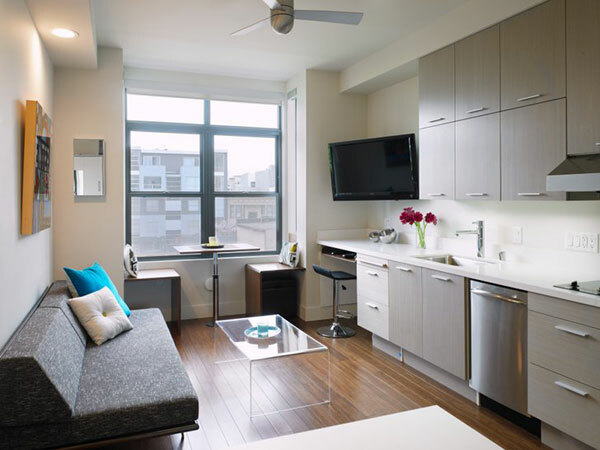 In order to experience city living at an affordable price, numerous residents in big cities are leasing micro-apartments. An article in USA Today predicts that mini-apartments are the next big thing in U.S. cities (like New York) as more Americans see downsizing as practical, as well as economical and eco-friendly. Is less really more? 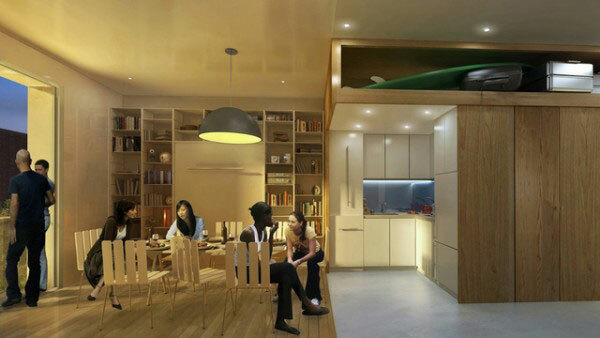 Check out how these micro-apartments may prove that it is. A micro-dweller’s apartment in New York provides functionality and uniqueness as he transforms his 350-square-foot apartment into eight rooms. The living room and office become the bedroom, and one of the closets has 10 stackable chairs and a dining table. There is also a guest room with beds, as well as a kitchen and bathroom. The Emerald 10 is a micro-housing unit that has 36 micro-apartments in the First Hill neighborhood of Seattle. Units are 200 square feet, and each unit has a mini-kitchen, bed and bookshelf. These apartments include a built-in bed, kitchen appliances that are nearly full sized and a full bath. They are tucked away in a historic arcade that was built in 1828 in Providence, Rhode Island. The SmartSpace micro-housing project is located in the heart of South of Market (SoMa) on Harriet Street in San Francisco. There are 23 units, each with 295 square feet of living space that includes a full kitchen, queen bed, dining room table, full bathroom and lots of storage. 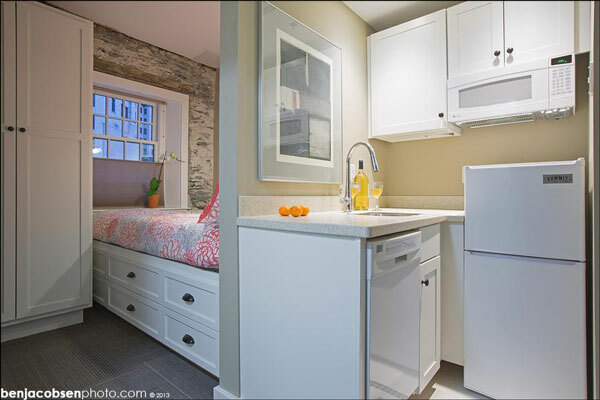 Unlike most micro-apartments, these units have a full-size dishwasher, sink, two-burner stove and Euro-size refrigerator. Each unit also has a SmartBench dining table that folds down. SmartSpace SoMa is the first prefabricated micro-housing project in the U.S. 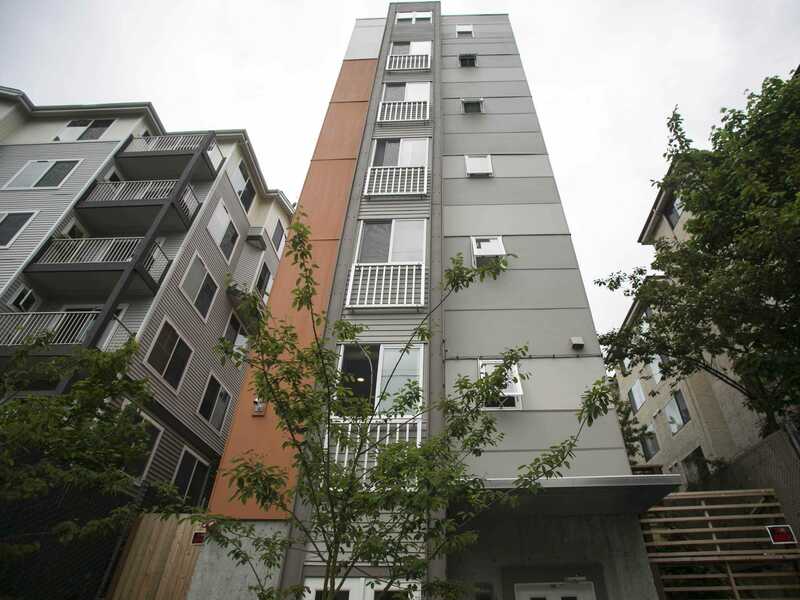 This micro-apartment building offers tenants on-site bike parking (car parking is not available) along with a private bathroom inside of the 200 to 300 square-foot apartment. Five similar apartments share a kitchen area. New York City’s first micro-unit building will have apartments that range from 250 to 370 square feet. The 55 mini-apartments in the My Micro NY building will have pantries that pull out from the wall, and each unit’s kitchen will include a full-height refrigerator, range and space for a convection microwave oven. The building is designed with public spaces, such as a rooftop garden, a porch with picnic tables and a lounge. 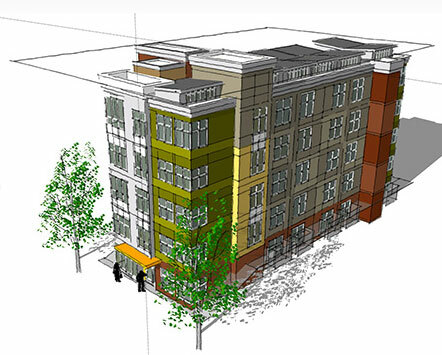 The anticipated move-in date for residents is September 2015.